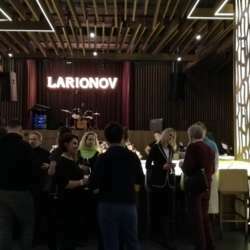 We are happy to announce an exclusive evening at a prime restaurant LARIONOV Grill & Bar close to Dinamo metro station (exit 2). 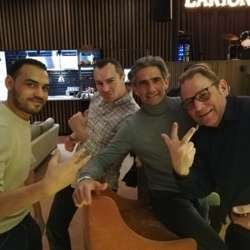 This is a new spacious bar where global minds are always welcome! 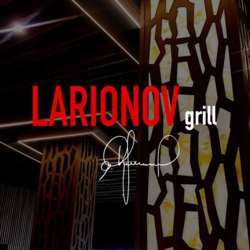 Larionov Grill & Bar takes its name after a famous Russian hockey player Igor Larionov and offers fine dining in the exquisite environment of the Hyatt Regency hotel. 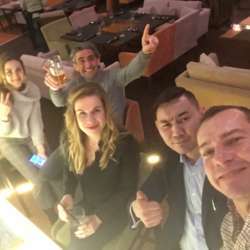 You may try outstanding cuts of beef, prime grade well-marbled steaks cooked over a wood fire, burgers, cocktails, and superb wines. There will be special prizes from the restaurant (dinner vouchers, wine) and other sponsors. 10% off the menu! Do not forget to bring your business cards for your chance to win in the raffle! Counting on you to attend as usual in large numbers to make this yet again a great success. Bring your friends, colleagues and business contacts along to enjoy this evening with an international crowd.